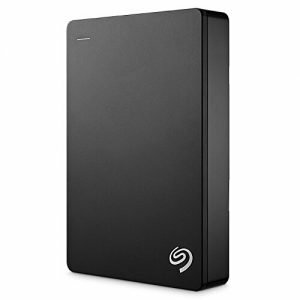 What’s the best travel hard drive for photographers? An SSD (solid-state drive) hard drive, of course. It’s an improvement version of the HDD (hard disk drive). Why do photographers should adopt this new SSD hard disk technology? The reason is simple: just like a memory stick, there are no moving parts within an SSD hard drive. So you’ve got both reliability and high performance for photo and video editing. I’ll go through some of the best portable SSD hard drives by looking into two main factors, speed and reliability. 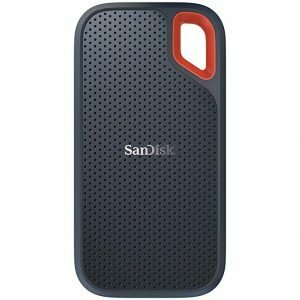 Top of the notch SSD hard drive from global brand SanDisk, the Extreme 900 portable SSD is unbeatable in term of speed. This is amazing. Photographers with high-end DSLR camera love this kind of high-performance portable SSD hard drive. You don’t even need drivers when connecting your computer to the hard drive. The other important feature we should not overlook is temperature and impact-resistant. 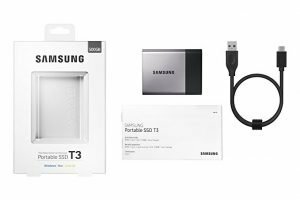 Second after SanDisk, we’d recommend Samsung T3 Portable SSD. 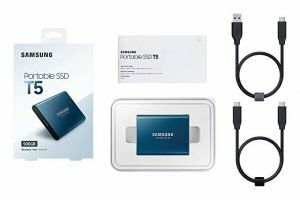 The Samsung SSD T3 works well with PC, Mac, and even Android operating system. It’s very compact and lightweight. This sleek SSD hard drive fits well in your pocket, so you can take all your photos with you anywhere you go. This portable SSD hard drive is a great addition to your storage needs. It’s easy to use; it’s plug and play. The SSD drive offers fast transfer speeds. Slick and lightweight is usually preferable by travel photographers. In addition, VectoTech Rapid Portable SSD is shock and vibration resistance, so it’s a plus when you move around a lot. 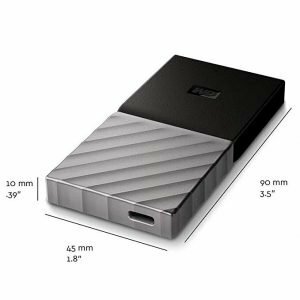 This external Solid State Drive is ideal for photographers, videographers, graphic designers who needs to back-up or transfer large files. It was built with performance and reliability in mind. It’s also probably one of the most compact SSD hard drives in portable SSD class. It works on MAC and Windows out of box. Plug and play. 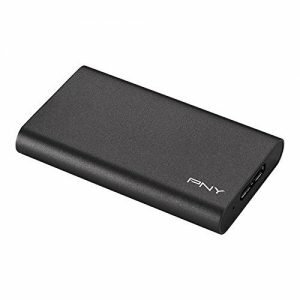 The down size is storage capacity available, unlike the above reviewed portable SSD hard drives, which offer more capacity. What I really love about this WD My Passport SSD hard disk is its shock-resistance, compact storage in a durable design. The automatic backup feature is useful for most photographers. Overall, it’s the best SSD portable hard drive for Macs. The Thunderbolt 3 compatibility makes the U32 Shadow External SSD drive outstanding for its speed and performance. On the other hand, this SSD hard disk is quite portable, which makes it easy to pack and travel. 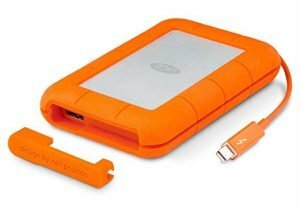 If you travel a lot for photography purpose, LaCie Rugged Portable Hard Drive will survive extreme data security in most circumstances. Seagate has been popular for years as a hard drive maker. 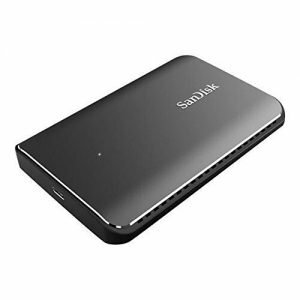 This external SSD hard drive is quite affordable for most photographers. What’s more? You won’t sacrifice the reliability with this Seagate brand. Overall, it’s the best cheap external SSD hard drive everyone can buy. If your ultimate choice is the best water-resistant external SSD hard disk, you should not look further. The SanDisk Extreme 500GB is my favorite. Compatible with Mac and Windows, the Toshiba Canvio is a USB 3 portable hard disk made for storing photographs. It’s quite easy to use with a MacBook laptop to backup photos. Overall, it’s very reliable. 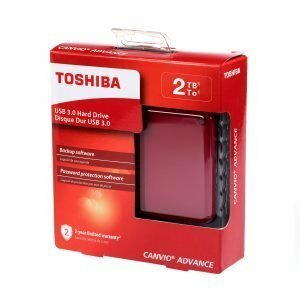 For those photographers with a massive collection of photographs, I’d recommend that you should either buy a few of the Toshiba Canvio external hard drives or get the 4TB capacity. For most travel photographers, what we need most is digital storage to keep all their photographs. Having the best SSD hard drive is essential for most of us. 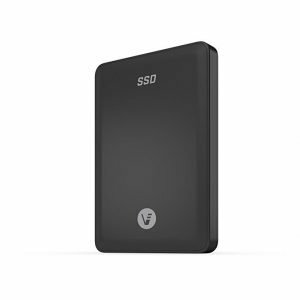 I chose the to best portable SSD hard drives over normal external hard drives because of these two factors: reliability and speed. These features are what we need to pay attention to before buying an external hard drive to store and backup our photos. The best portable SSD hard drives will make photographers and videographers easier for use in the home studio or travel. There are times we our normal external hard disks are having issues due to its old technology. With the best portable SSD hard drives you’ll feel more comfortable storing your valuable photos. What’s else? If you’re looking for a gift idea for your friend who’s a passion photographer, giving the best external SSD hard disk is a great choice. The list above gives you a variety of options for either Windows or Mac users. Thanks for the analysis. Is there any reason to prefer T3 to T5?